Mayor of Sabang Nazaruddin is optimistic that Sail Sabang 2017, the ninth edition of the international annual maritime tourism event, would help promote the country`s marine tourism internationally. "This Sail Sabang is a promotion of Indonesia`s marine tourism globally," Mayor Nazaruddin noted here, Friday evening. Sabang, located on Indonesia`s westernmost island of Weh, will organize various tourism activities annually. "In future, we will organize various events to attract tourists to visit Sabang," he remarked. The mayor expressed gratitude to President Joko Widodo and the relevant ministries for promoting Weh Island to tourists. "Infrastructure in Sabang is not adequate, and we strive to improve it and fully support the program of President Joko Widodo and the ministries to improve the economy for the public," he stated. Themed "Toward Sabang as the Gate of Global Tourist Destination," Sail Sabang is being organized from November 28 to December 5, 2017. President M. Jusuf Kalla officially inaugurated the peak event of Sail Sabang at the Sabang Seaport and Free Trade Zone area on Saturday (Dec 2). The event was also attended by Coordinating Maritime Affairs Minister Luhut Binsar Pandjaitan, Tourism Minister Arief Yahya, Minister of Transportation Budi Karya Sumadi, and Marine and Fisheries Affairs Minister Susi Pudjiastuti. "This is different from the earlier event that was focused on infrastructure development," Pandjaitan noted during the rain-soaked event. He said Sail Sabang was followed by 13 Indonesian warships, a research ship "Baruna Jaya" owned by the Indonesian Institute of Sciences, 20 thousand visitors, three thousand foreign tourists, and local residents. 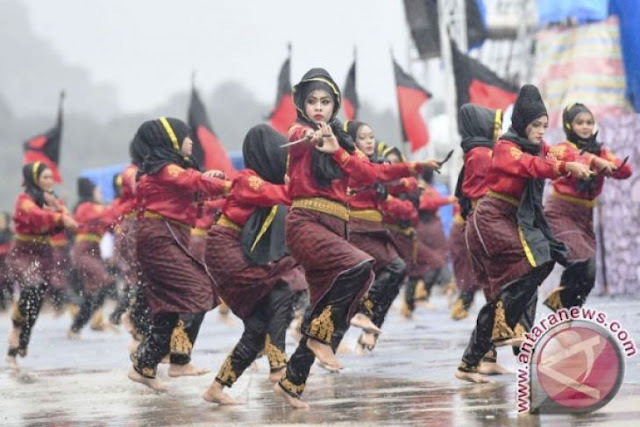 The Sail Sabang event, which kicked off on November 28, 2017, was enlivened by art carnivals, maritime exhibitions, free diving competitions, casual bike event, social service blog contests, science and technology jamboree and seminars, mass dances, parachuting, and a parade of warships.